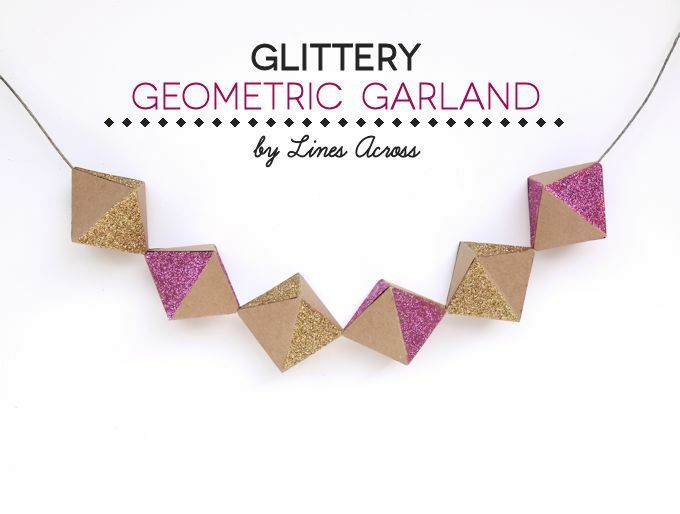 Today I’m sharing how to make this glittery geometric garland. 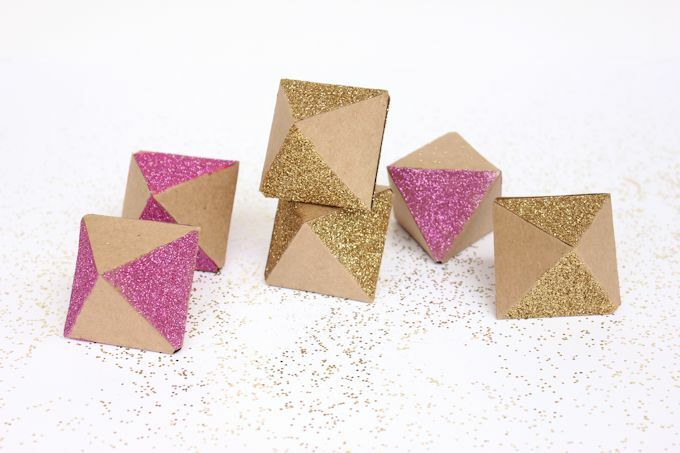 I’ve had this project in mind since I shared a free printable for these diamond shaped gift boxes. 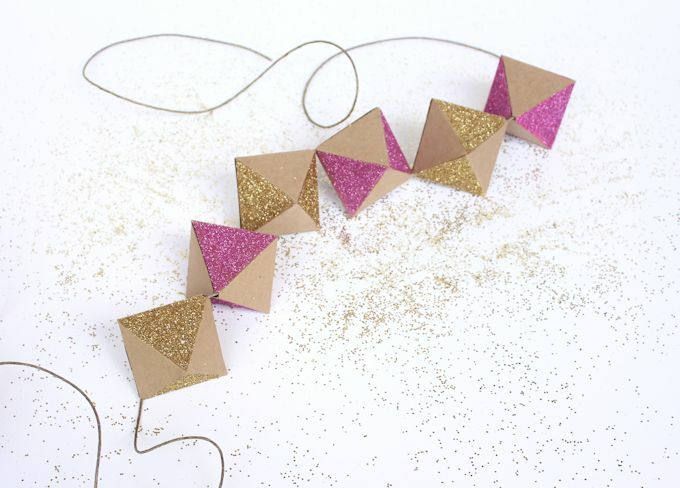 I knew I wanted to make a smaller version that could be strung together into a fun garland. This project was pretty easy, but it took a little longer than I thought. 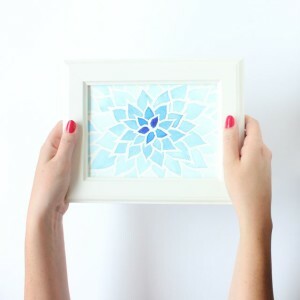 It would be perfect as a project for a craft night with a few friends, as a part of a handmade wedding, or as something to make while watching TV. 1. Print off the free printable template. Cut it out along the solid black lines. Be precise when cutting. 2. 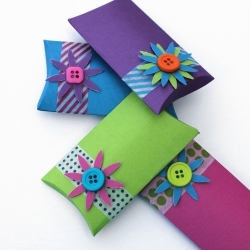 Fold along the dotted lines. I found it really helpful to score first. 3. Flip over the paper so that the printed lines are on the bottom. 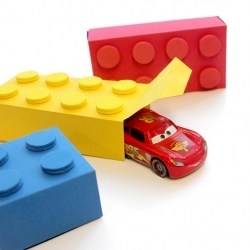 These will become the inside of the little boxes. 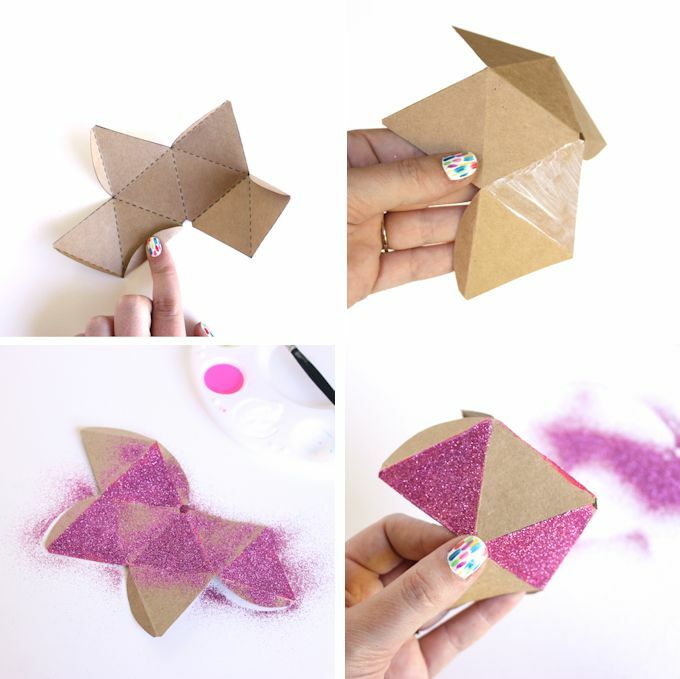 Carefully paint a medium coat of Mod Podge over every other triangle (4 total). 4. 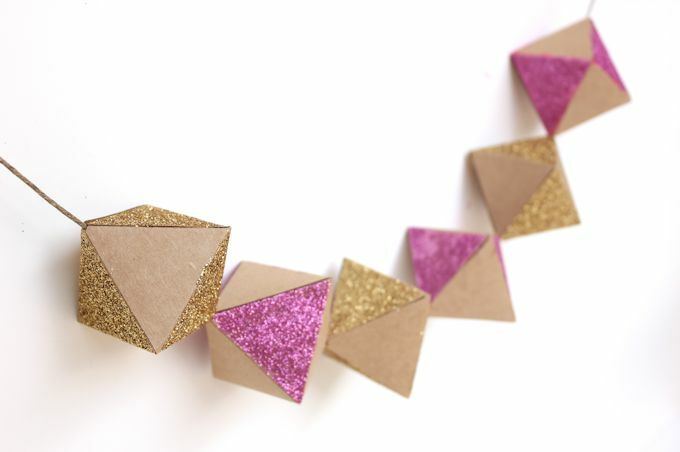 Cover these triangles with glitter. 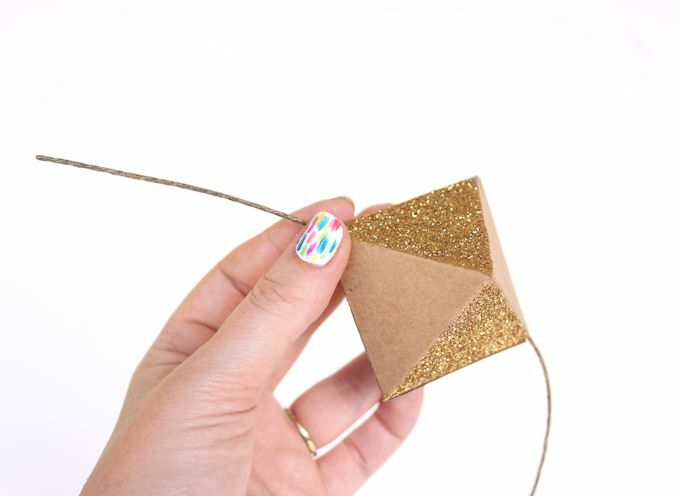 To make sure the Mod Podge doesn’t dry, you might want to paint/glitter one triangle at a time. 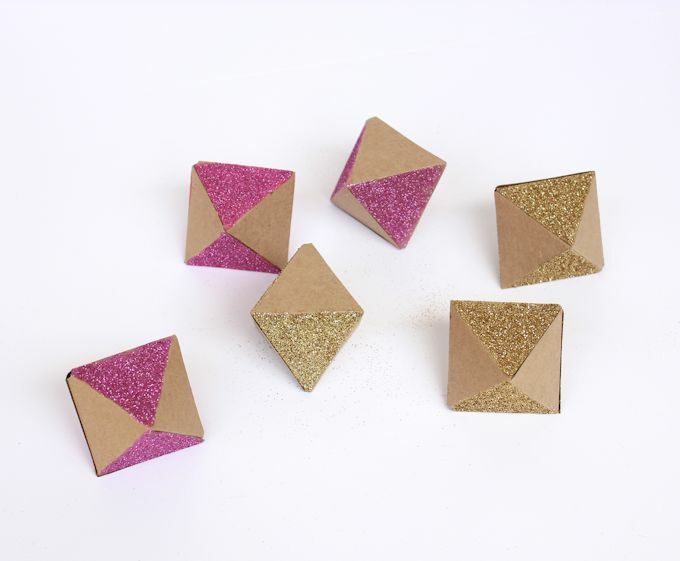 I just love the way the glittery pink and gold look next to the plain kraft paper. What color combos do you love? This was originally posted on Mod Podge Rocks.